Experiences in beautiful outdoor destinations with family and friends is the nectar of life for the author. I turned 40 years old on Friday. In fact, I wrote this article the morning of my birthday. And yes, I do feel older. It’s like I’m in some sort of a daze, wondering how this happened. Just yesterday, my friends and I were bouncing around in a jon boat catching bluegills on cane poles and chasing cottontails with stick bows when our ages only consisted of one number. Then there was high school and college. Where’d those days go? Marriage. How could my wedding have been 14 years ago? I can still taste the tequila. I had babies. Two of them, but they’re missing and two teenagers have taken over their bedrooms. It’s gone fast. There’s no arguing that. But I recognize how incredibly blessed I have been. First of all, to live in this country. Things are strange right now, but America is strong. We’ll right this ship. We have to. And even though I’m sitting here wondering where the time went, I am thankful that I went through my first 40 years with my eyes and my heart open. I haven’t wasted many days. Have I made mistakes and missed opportunities? Absolutely. For the most part though, I’m proud of the decisions I have made and the path I have followed to today. I have always placed a strong emphasis on the importance of experiences, not possessions. Having spent the first half of my life as a pretty serious athlete, I often work through life scenarios with sports analogies. Right now, I feel like I’ve just entered the locker room for halftime. I feel really good about how this game of life is going. When I look up at the scoreboard, I’m ahead at this point in the game, but the work is far from over. Adjustments need to be made and a real strong effort must be put forth if I hope to end this life with the personal satisfaction of feeling like I finished a winner. I feel like I’ve put together a solid game plan to do so, which begins with making a tough decision. 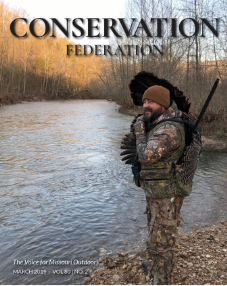 After five years as the Executive Director of the Conservation Federation of Missouri (CFM), the state’s largest and most active citizen conservation organization, I have stepped down to pursue my next opportunity. It’s hard to put into words what the last five years have meant to me. I feel I arrived at CFM a sportsman, but am leaving a conservationist. Our incredible network of volunteers, members, agency partners and staff have accomplished so much to protect Missouri’s unique and highly successful model of conservation management. I am incredibly humbled and thankful for the opportunity I was given to lead, and I will remain proud of the collaborative results we achieved for the rest of my life. There is so much to look back on and so many people to thank. I truly believe the highlight of my time at CFM was the work we did to renew the Parks, Soil and Water Sales Tax. Never before had I experienced such collaboration and a willingness by all parties to set aside small, individual differences to focus on the big picture while making life better for all citizens. To pass that vote with 80.1 percent and winning 114 out of 114 counties, proves Missourians agree on the importance of incredible parks, healthy soil and clean water. And it shows that as citizens of our state and country we are clearly not as divided as the entertainment news channels make us out to be. I am incredibly excited for the next step in my life, and dedicating myself to furthering the healthy soil and clean water efforts across the country. I’m joining the incredible team at Roeslein Alternative Energy (RAE) as Director of Communications. RAE has three areas of focus: energy production, ecological services and wildlife, and has found a way to benefit all three with a market-based solution to improve our environment while producing a renewable energy source from animal waste blended with native grasses. Through a process called anaerobic digestion, Roeslein is able to produce a biogas from the mixture of manure and native grass. Not only does this process create renewable energy, it eliminates odor and emissions from waste that otherwise would enter our air and water. Numerous ecological benefits for our landscape and wildlife also occur. The process certainly helps fight climate change. It also creates an additional market for agriculture and benefits rural economies in numerous ways. Coming out of the locker room for the second of this game called life, I want to build a big lead in the third quarter so I can relax a little in the fourth. I’m so thankful for the countless blessings of family, friends and experiences that have made my life so rich to this point. You know who you are. Thank you. 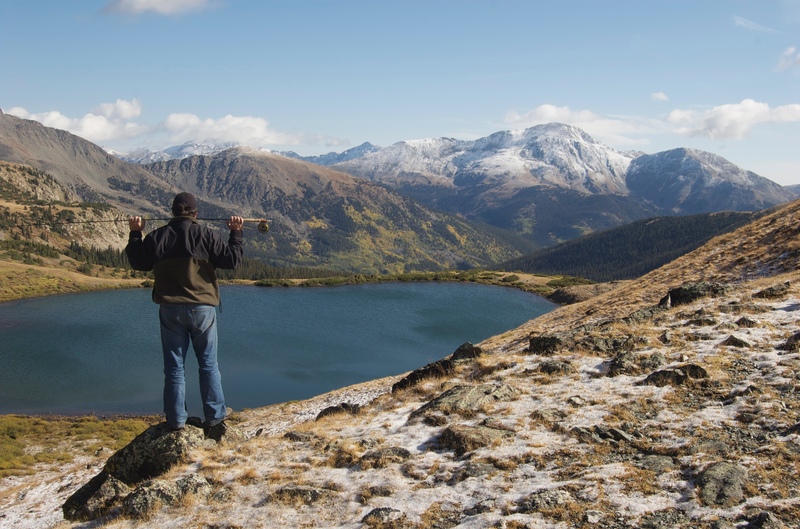 Most of my best times have been spent outdoors, and I have enjoyed sharing those experiences with you over 13 years this column has been continuously published. From the cornfields of Indiana, to great expanses of the Rocky Mountains, to the Gulf of Mexico, to the California Coast, to the rivers of the Ozarks and everything in between, this country of ours offers far more beauty than any one person can experience in a lifetime, but I’m giving it my best shot.